I am always on the hunt for a good burger. You would think there aren't that many available for vegans but you would be wrong. 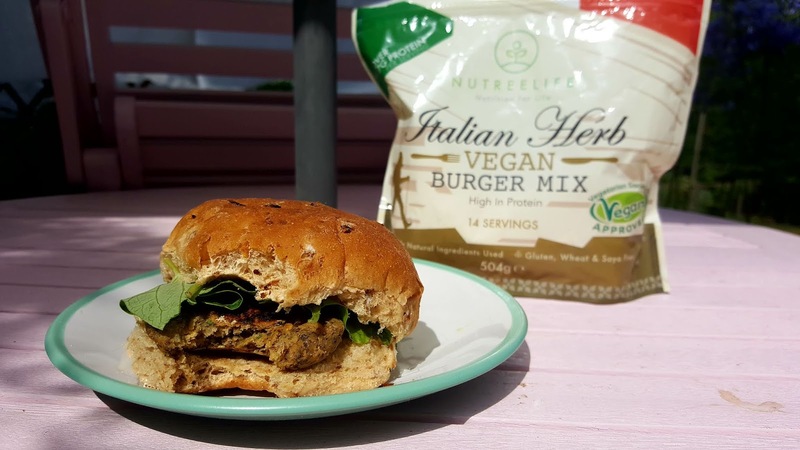 I have been testing out Italian Herb Vegan Burger Mix by Nutree Life. Nutree Life are an all natural, 100% plant based protein company. They have loads of amazing looking products including sticky toffee bites *dribbles*, and they even do a sample box. Oh and they currently have a 35% off summer sale so hurry hurry! As much as I like burgers, I am not a big fan of making them. I have made several types of burgers from scratch and they never taste equivalent to the effort I put in. However, these mixes are great for if you are short on time and you really do not need any culinary skills to whip up a batch of scrummy burgers. Don't worry about finding extra ingredients or needing to chop anything, as all you do is add water, shape into burgers and cook. It is so easy. The packaging says 14 servings, but I have made sausage rolls and burgers and still have a good half packet left. I was actually really impressed at how many one packet can make. I really like how versatile this mix is. Why stop at burgers? 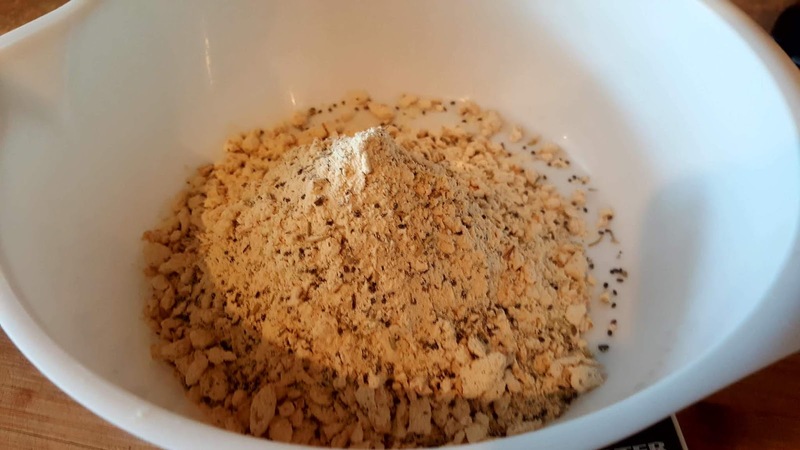 I bought some pre-made puff pastry and made sausage rolls with this mix. I am definitely going to make these again and think I'll add a bit of vegan cheese. You are only limited by your imagination. Being Italian herb flavour, these would make good meatballs in a pasta dish. The thing that drew me to the burgers was that they are made with pea protein. So not only are they available in delicious flavours (Piri-Piri and Fajita are also available), they are healthy and keep you feeling full. A great post-work out treat. What are your favourite veggie and vegan burgers? Is there anything you loathe cooking from scratch? *PR supplied product chosen by me. All opinions are my own. I am looking forward to trying the other flavours when this mix runs out. I forgot to mention the resealable bag it's in so you don't need to use it all in one huge go. Yes they did. Because they're high in protein, they were handy to take to work to gobble. That burger looks delicious and so easy to do! I know. Even those with 0 cooking skills can make tasty burgers with this. I do like a good burger but i'm so lazy when it comes to making them. Love the idea of using the mix to make sausage rolls too! Same. These are really easy and take minutes to make so perfect to feed my laziness as well as my stomach haha. There is sooo much meatless variety now so I hope it goes well for you.